I am writing to bid your prayers for our brothers and sisters of the Roman Catholic Church in the Diocese of Harrisburg as they receive the names of persons accused of sexually abusing children in the Church. The Rt. Rev. Ronald Gainer, Bishop of the Diocese of Harrisburg released the names of 71 persons yesterday with allegations of abuse that extend over decades. Bishop Gainer’s announcement of the names came in advance of an expected Grand Jury report. The announcement from the bishop included an apology on behalf of the church for the abuse through the years. I bid your prayers for those who will find this report to be difficult, and perhaps include the name(s) of clergy well known to them. Pray for those who have suffered abuse at the hands of any perpetrator, and for those whose faith in the church and in God will be tested by the unveiling of this report. Some of those who are affected by this letter may be members of our own Church, as the make-up of our denomination includes those of varied religious backgrounds. 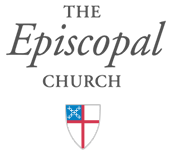 We in the Episcopal Church have confronted our own shortcomings in the area of sexual misconduct. Our own shameful history has led to the development of safeguarding training protocols; our vigilance is ongoing. Sexual violence, abuse, and exploitation is never acceptable. Those who are violated in this way experience deep and soul damaging injuries that degrade the dignity of God’s dear creation of humankind. The shame and guilt that result from this kind of physical, emotional and spiritual injury is arduous to bear. Please know that there are resources available to you, your loved ones, friends and family if you are in need of support. This kind of news can act as a trigger to recall incidents and emotions that have been kept at a distance for some time. If you or someone you love are in need of assistance, please call my office at (717) 236-5959, and we will arrange for confidential care with a trained therapist who is skilled in this area.